Our Bolton store is now open for business and can be found on the busy Newport Street in the city centre. Come on down and see what our friendly team can do for you! 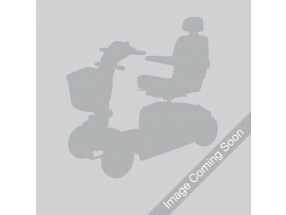 We have 11 used mobility scooters that are available to view at our Bolton store. You will find a selection of brand new mobility scooters at our Bolton store in a variety of shapes and sizes. From as little as £20.83 per month, you could be driving away in one of our high-quality scooters! Come on down to the Bolton store and see our carefully selected range of high-quality rise and reclining chairs. You'll be able to try them all out for yourself and test out their reclining actions. If you are looking to purchase a brand new wheelchair, or even hire one - Eden Mobility's Bolton store can help. We have a variety of both transit and self-propelled wheelchairs available to buy.